A while back, I suggested that Flash (s adbe), and more generally, video, was being too heavily used on the web. Despite the lively discussion that ensued from that post, I still stand by my original opinions. And a recent post from a Flash developer sparked another vigorous discussion, with many of the commentators feeling that Flash is on the way out. Since the dawn of the Internet, it’s been an article of faith that connection speeds will get faster and costs will drop. We might be seeing the end of that trend. If predictions are correct, we’ll be facing a mobile bandwidth shortage in just a couple of years. Most of the people who use mobile devices, including iPhones (s aapl). Over 50 percent of Internet shoppers are using mobile devices, most of which don’t support Flash, and have small screens that don’t display images — especially moving images — well. Many people with mobile connections who have data plans that cap bandwidth use. Exceeding those caps can be very expensive. You and I are probably already considered part of the “mobile workforce,” and this category is growing rapidly. One-third of all workers are anticipated to be mobile by 2013. These users will likely be on capped connections. People who don’t install Flash for security reasons. People who are behind corporate firewalls. People who use software or browser add-ons that block multimedia content. If you’re a web developer, or are updating your web presence, try not to get too dependent on video, audio and other bandwidth hogs. I like a friendly multimedia experience as much as anyone. But do yourself a favor and ask these questions. Is this video (or audio) really necessary, or is it being included because it’s easier than actually writing a cogent description of what the site is about? If you must include a video, then what will people see if they can’t load the file? Will the site degrade gracefully? That is, will people see helpful alternative content? 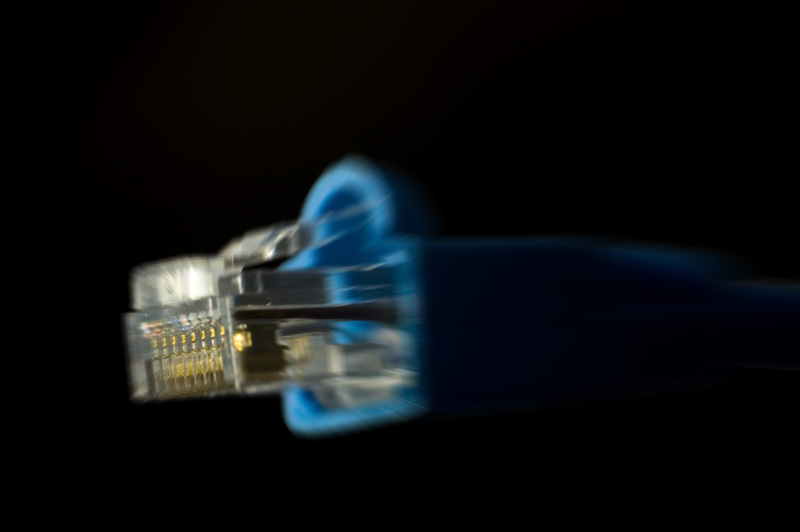 It’s possible that faster, better and cheaper bandwidth may be on the horizon. Google (s goog) seems to want that. But they are also pushing projects to increase the efficiency of the web. So living with limited bandwidth may be the next “inconvenient tech truth,” and we should plan our web projects accordingly. How can you make your web projects more bandwidth-efficient? Bandwidth is an infinite resource which is being severely and deliberately restricted in order to drive it’s price up. Bits don’t need to be generated, and they don’t get consumed. All it costs networks to transmit at full load, or idle, is what is needed to keep the equipment running and maintained. Charging for bits, bytes, or gigabytes is arbitrary and unfair. Charging for bandwidth CAPACITY, over the billing period, is the way to go. If telcos want more profit, then they can offer faster pipes. Of course, they’ll have to plow their profits into upgrades, but modern equipment has higher capacities at lower energy costs, so that should be fine with them, if they weren’t committed to the arbitrary “bill by the byte” model. This post seriously lacks perspective. It is very unlikely we will have a mobile bandwidth crisis. Anyone who says otherwise lacks a firm understanding of how the internet works or is trying to justify an unfair bandwidth pricing scheme (I’m looking at you Telecoms!). Furthermore, the vast majority of internet users have no issues using Flash, as evidenced by the success of sites like YouTube. Anyone who has been on the internet longer than a couple years can clearly see a trend toward a richer multimedia experience. There is a strong demand for this type of site and ISP technology will follow the demand. was there a freakin’ point to this post? Bandwidth may or may not become scarce? Flash may or may not be a waste of resources on your site? A site with video should include consideration for browsers with limited capability? I get a lot of crap in my feed that can easily be ignored, but this post was a complete and utter waste. Who gets paid for this? Either take a stand or make a point. 300 million of us out here are ready to make wishy-washy non-committal statements – I don’t need to come back to WWD for more of the same.